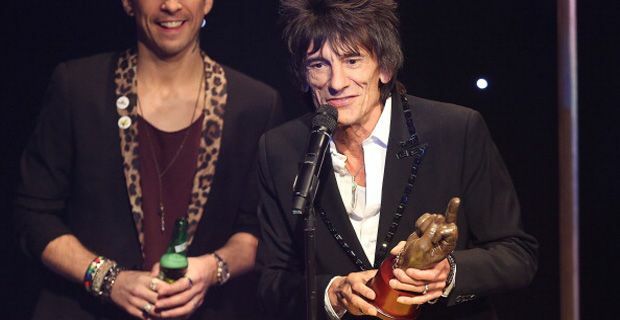 Ronnie Wood has strongly hinted that the Rolling Stones may indeed be playing Glastonbury this year – or at least given frontman Mick Jagger a hefty nudge towards Pilton. Wood was at the NME awards this week to pick up the awards that the Stones had won for best live act and best film. The middle finger salute that the award statues were holding somehow seemed wonderfully apt. The Stones made a live comeback in 2012 with a sellout mini-tour of London and New York to celebrate 50 years in the rock n roll game. The gigs went down a storm with fans and critics alike and it looks like Wood at least is making a play for Glasto. "Keep your eye out because you know I want to do some more (live shows) and I know that the boys do too," he said. "I want to do it badly, but I've no idea yet ... but I am just looking forward to. ... I know we're the best live, so I just hope we get it," he said. Glastonbury is one of the few festivals in the world that can sell out before actually announcing any acts. Michael Eavis, the gloriously eccentric organiser of the festival has already made the group an offer which is now apparently under consideration by Jagger. He told NME recently "There are other things in the world, you know, apart from Glastonbury! But then again, Glastonbury is very important. It seems to be very important to my children – highlight of their year!"